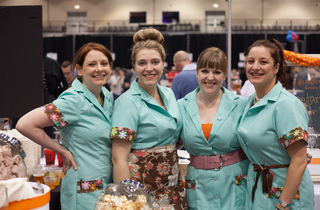 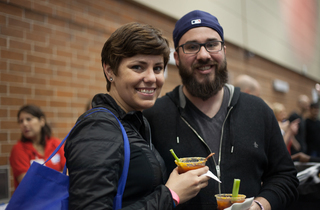 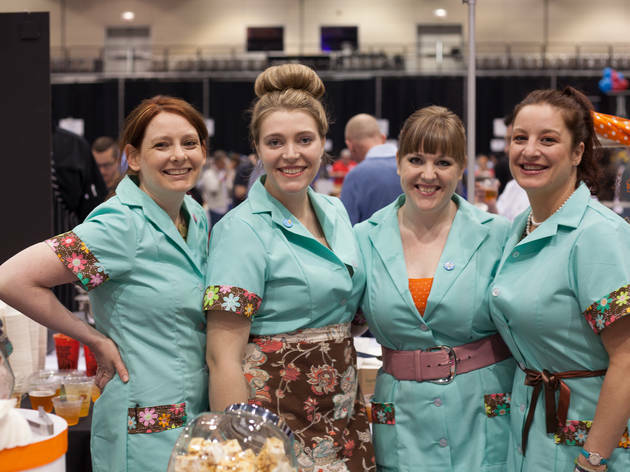 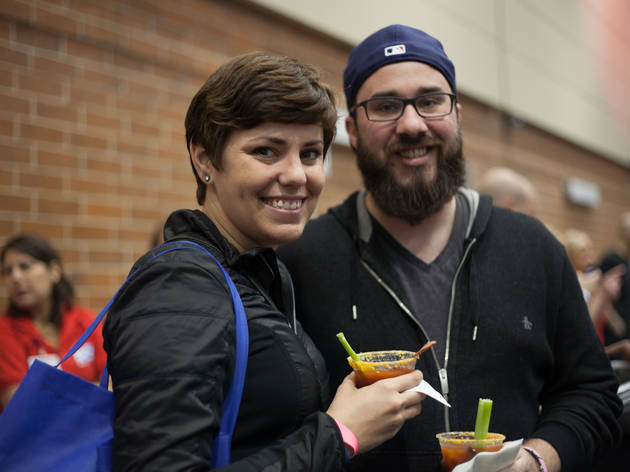 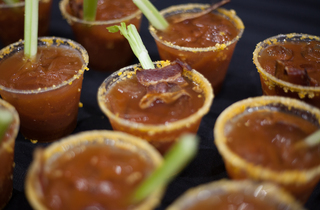 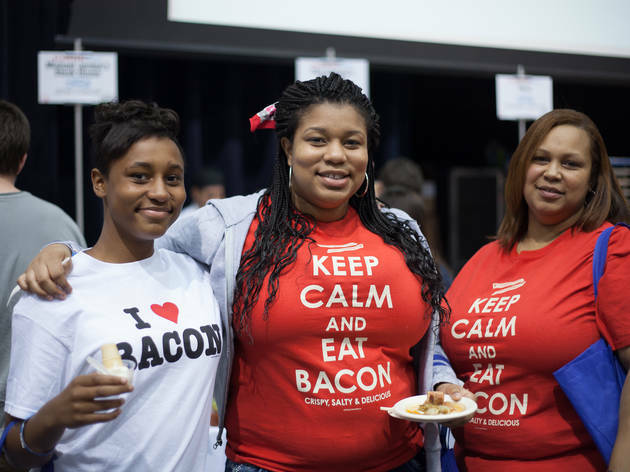 Photograph: Lynn MillspaughBaconfest Chicago kicked off yesterday at UIC Forum and continues today with tastings and more. 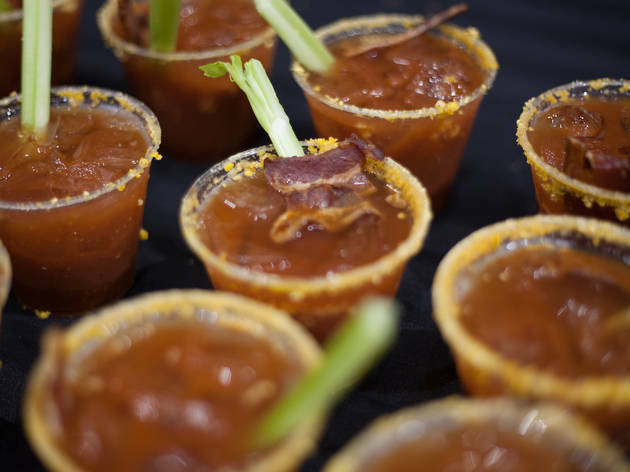 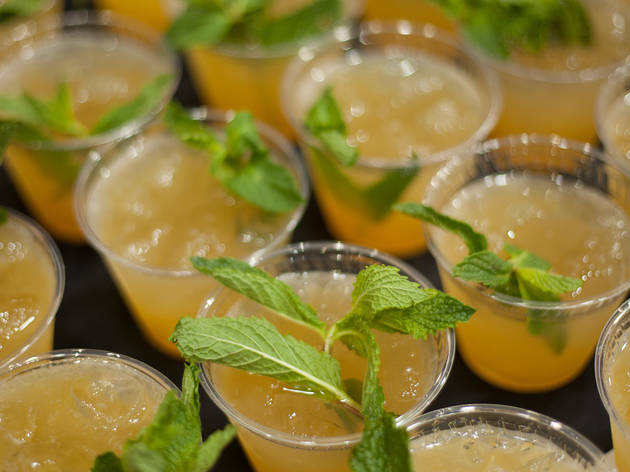 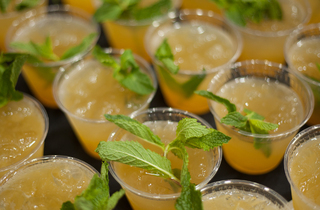 Bacon cocktails. 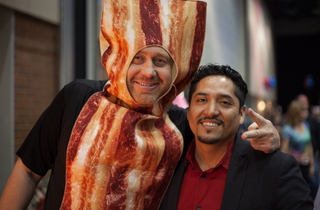 Bacon costumes. 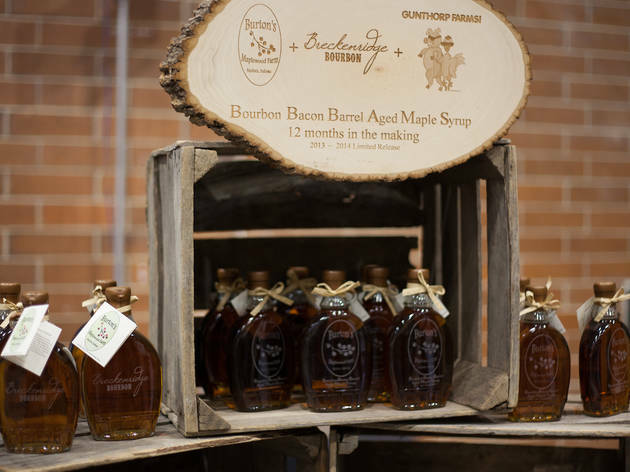 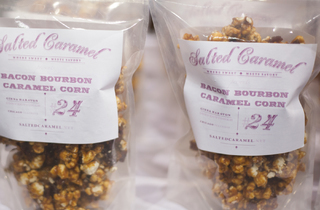 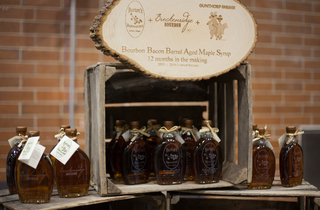 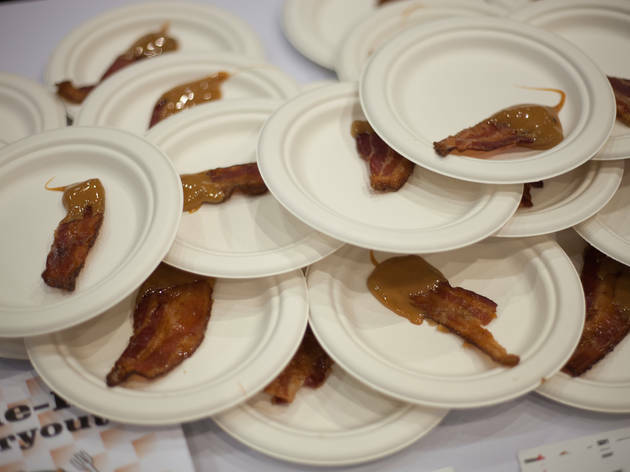 Bacon maple syrup. 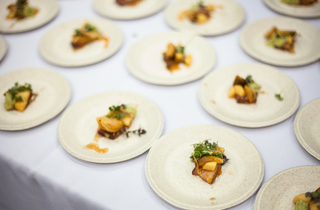 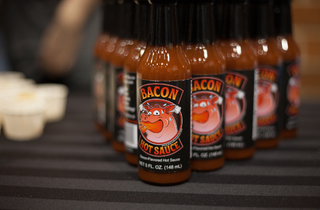 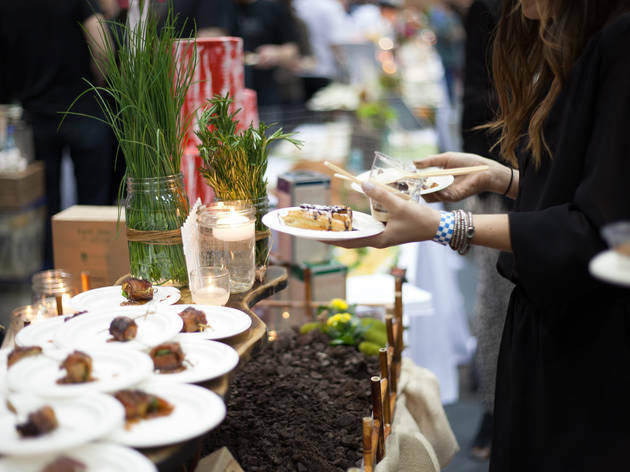 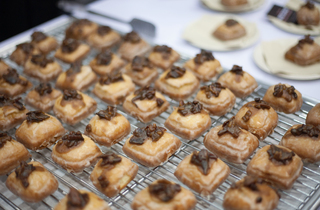 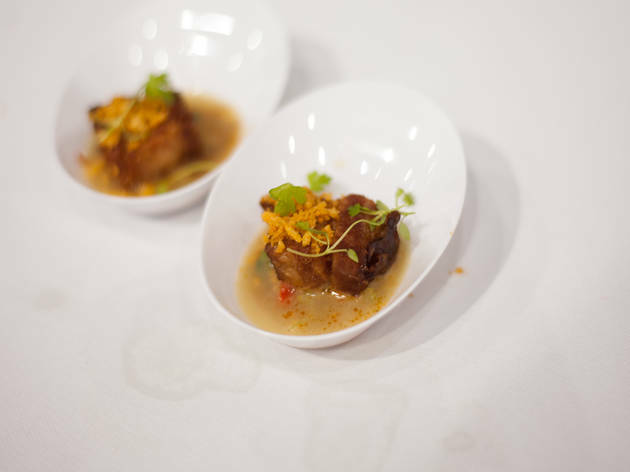 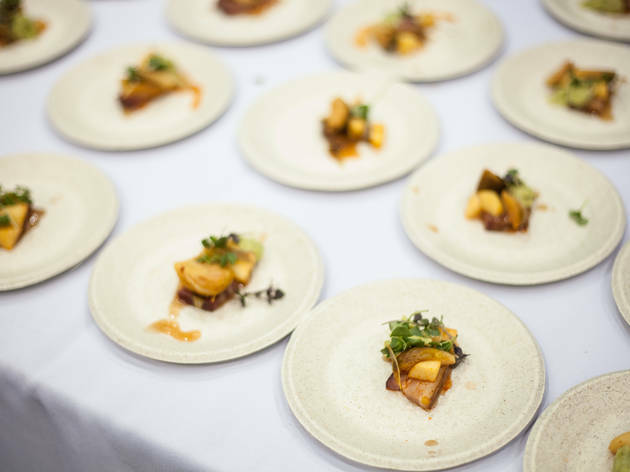 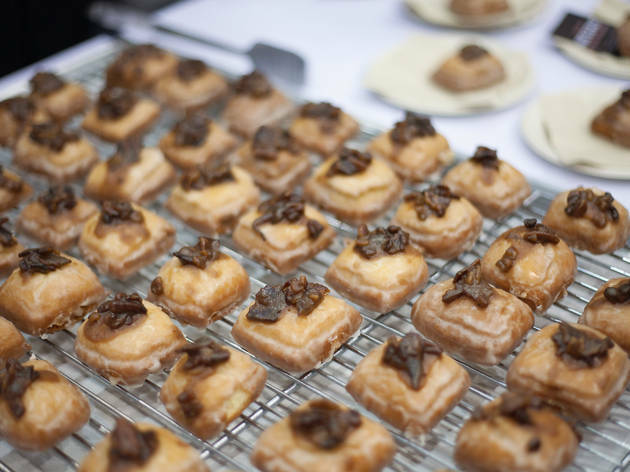 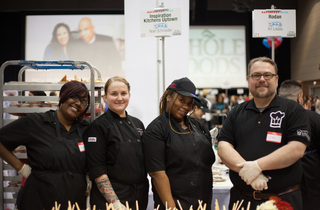 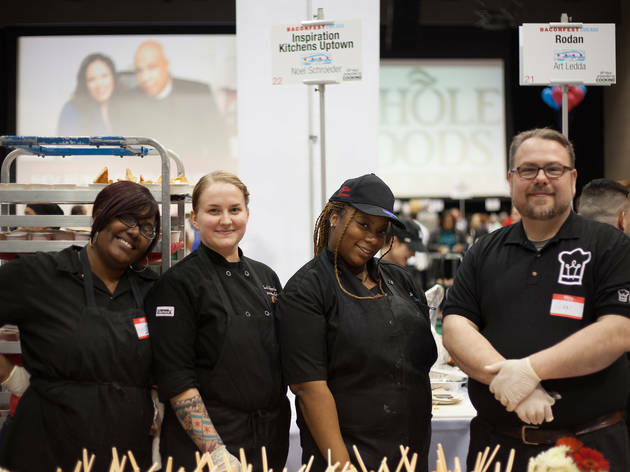 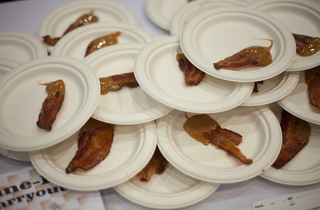 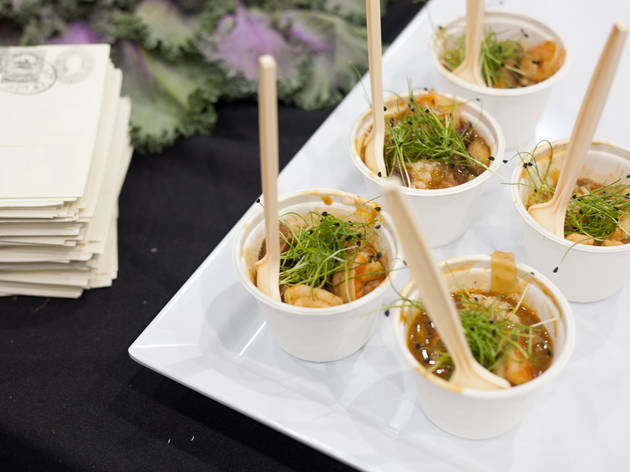 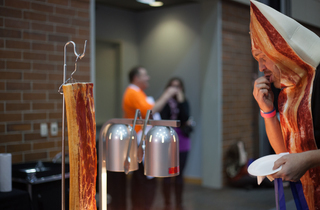 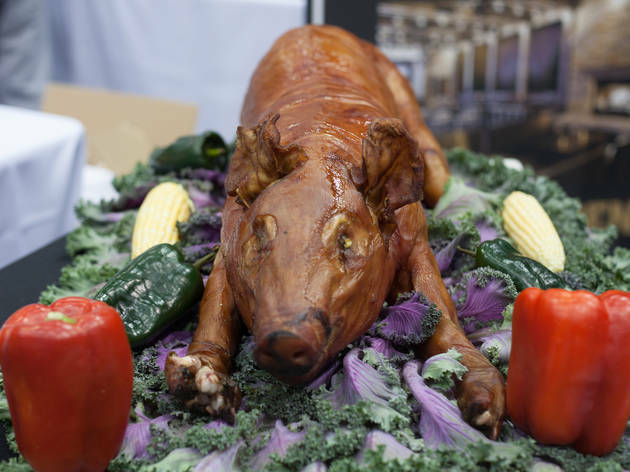 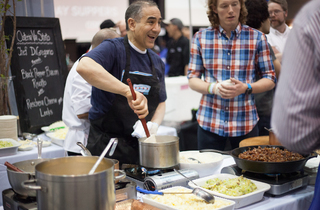 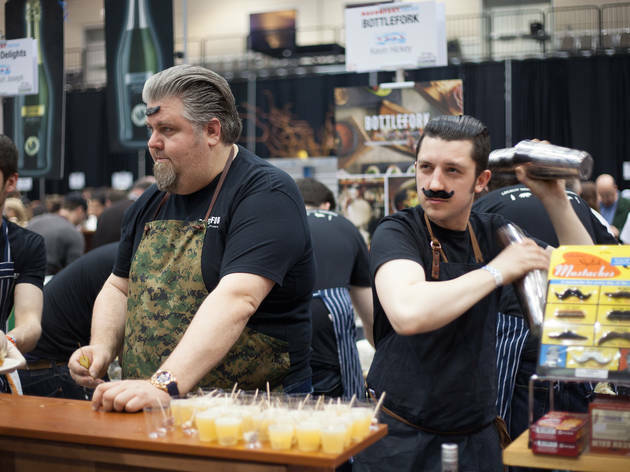 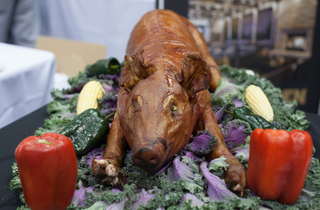 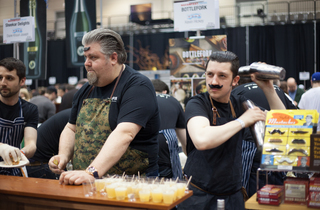 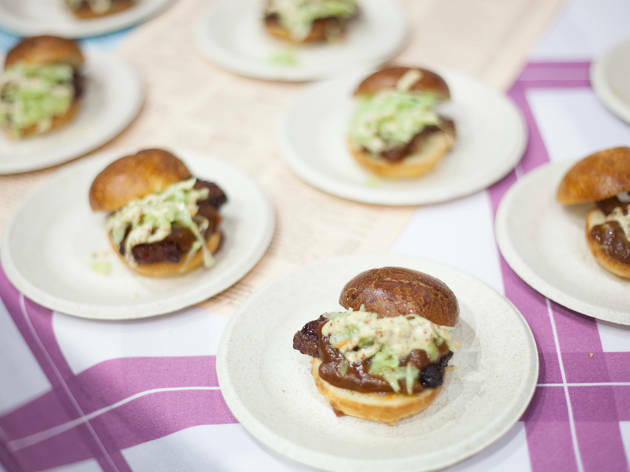 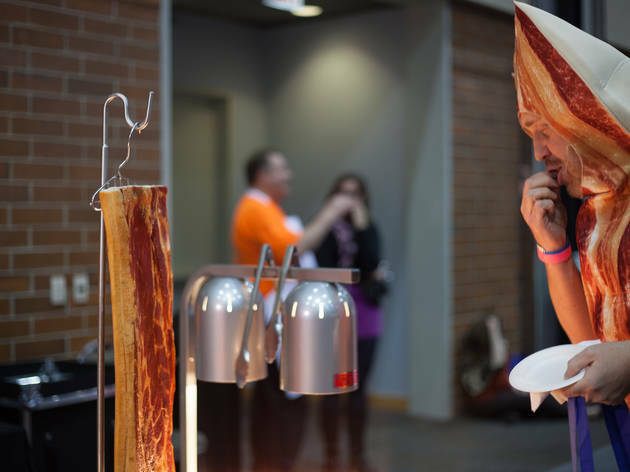 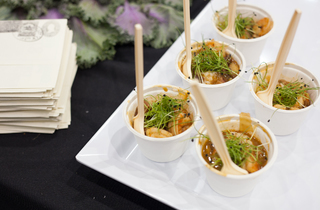 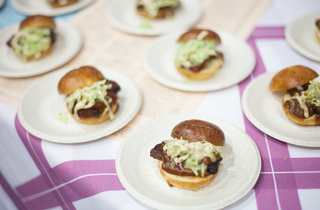 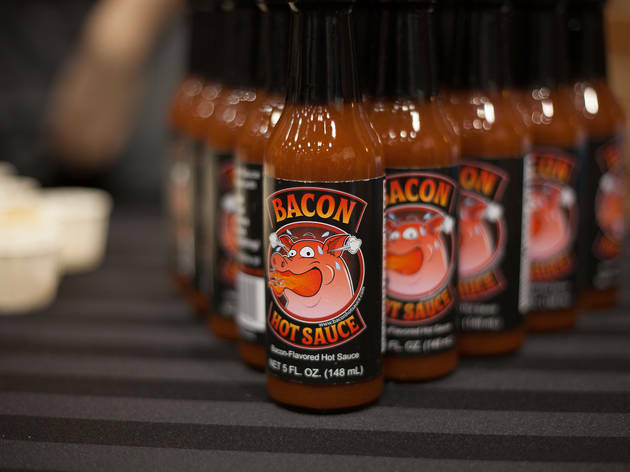 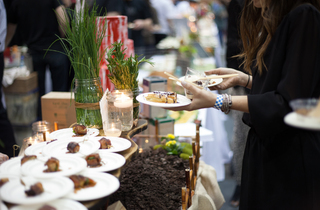 The annual Baconfest kicked off last night at the UIC Forum, with tastings from chefs like Bottlefork's Kevin Hickey, Mercat a la Planxa's Cory Morris and many others. 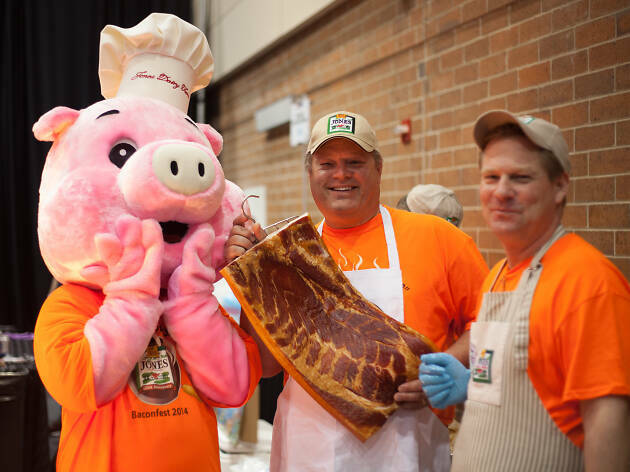 While Baconfest continues today, the event is sold out, so go cook some up, then click through the slideshow to pretend you're there. 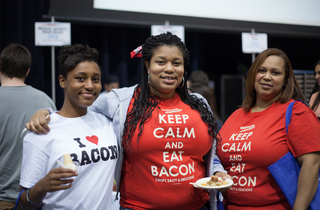 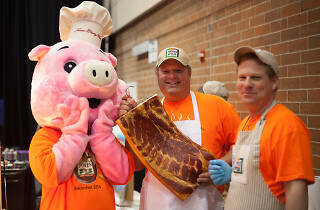 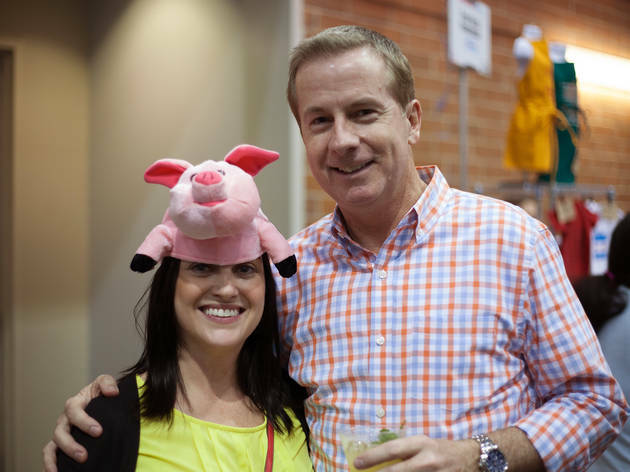 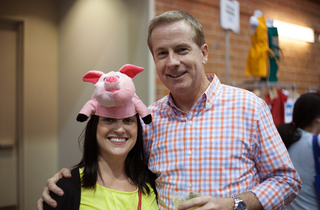 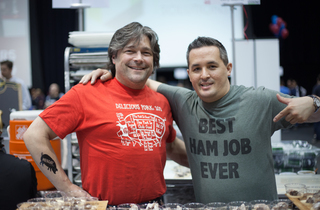 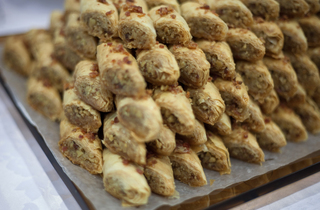 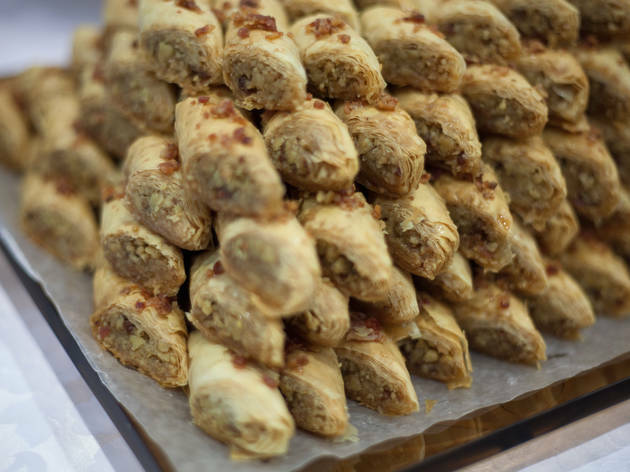 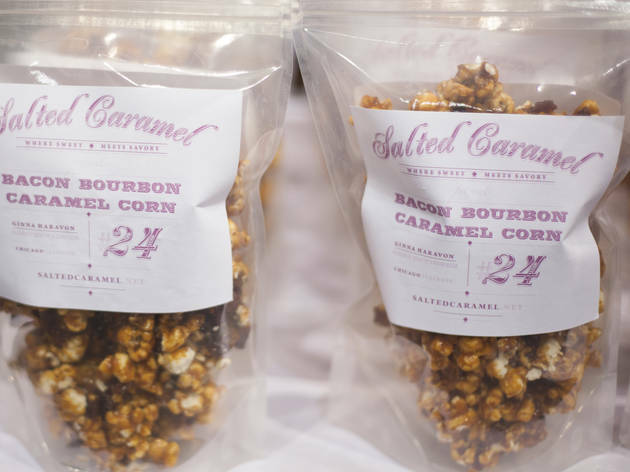 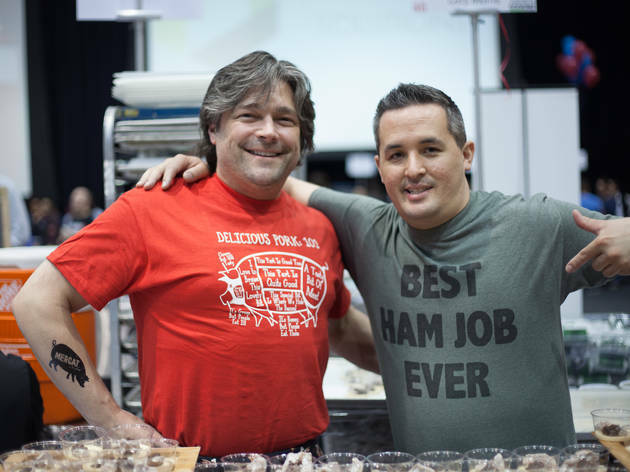 As the T-shirts of some Baconfest goers say: Keep Calm and Eat Bacon.